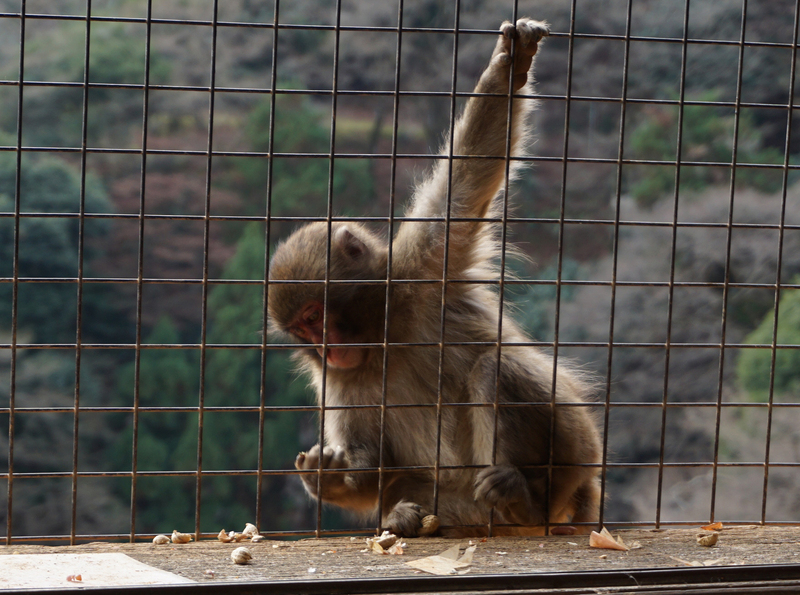 I’m not the only one who enjoys taking the waters at a Japanese onsen. 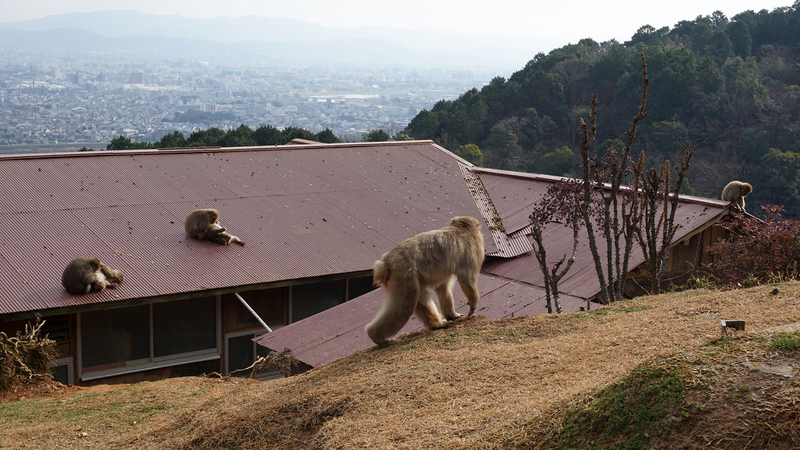 The Macaque “snow” monkeys of Nagano are famous for doing the same. 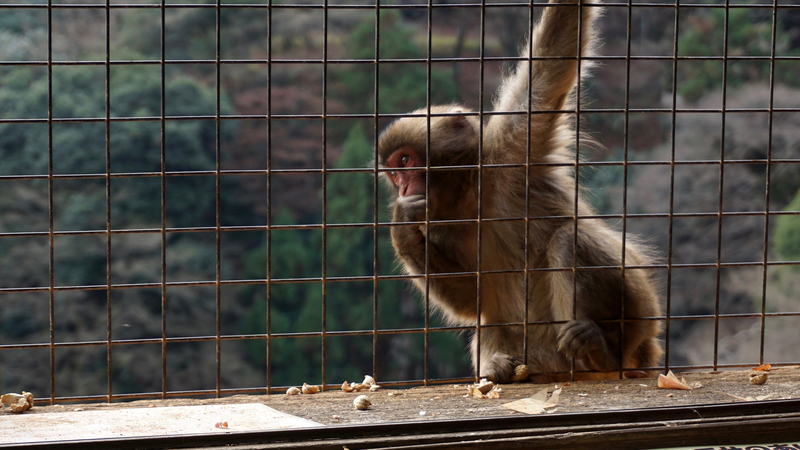 Here’s a beautiful ultra-high-def video posted by Jacob + Katie Schwarz on YouTube. 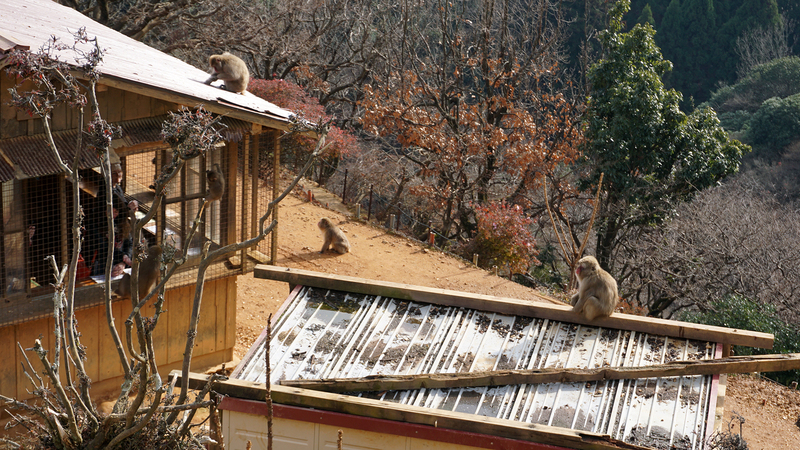 I considered adding a visit to Nagano’s Jigokundani Wile Monkey Park to my itinerary, but the logistics were a little unwieldy. 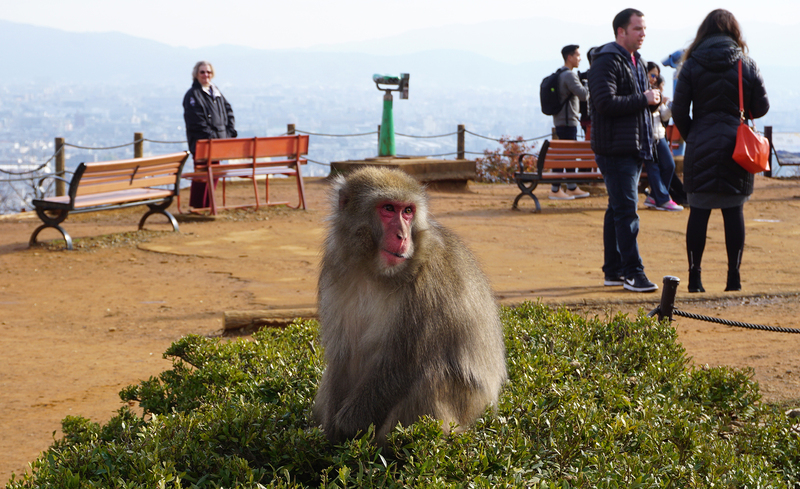 In hindsight, I probably should’ve made the trip. 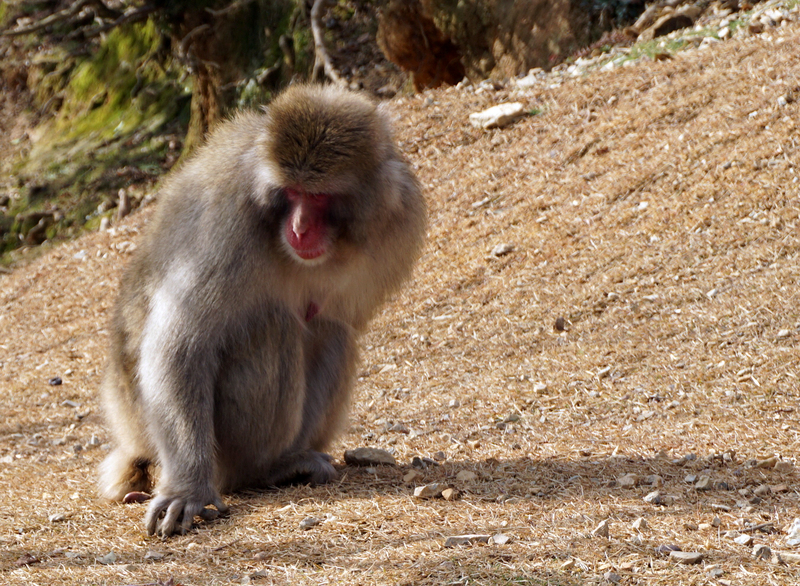 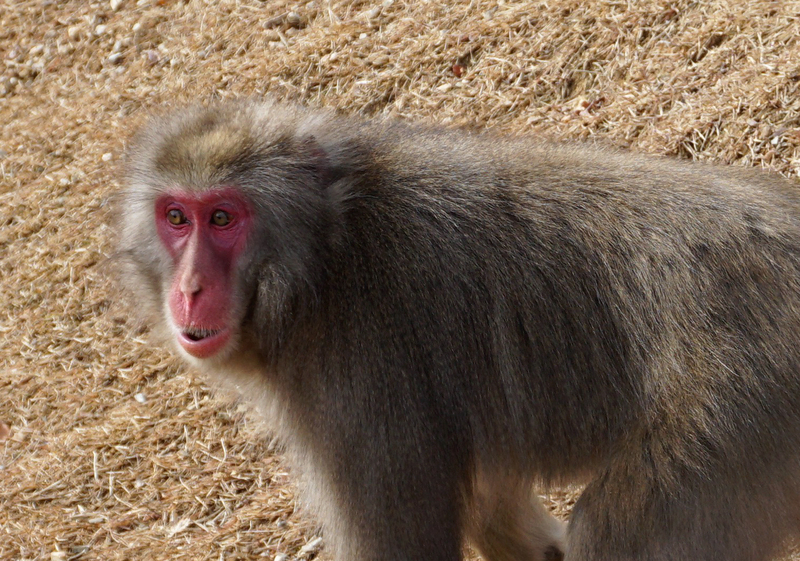 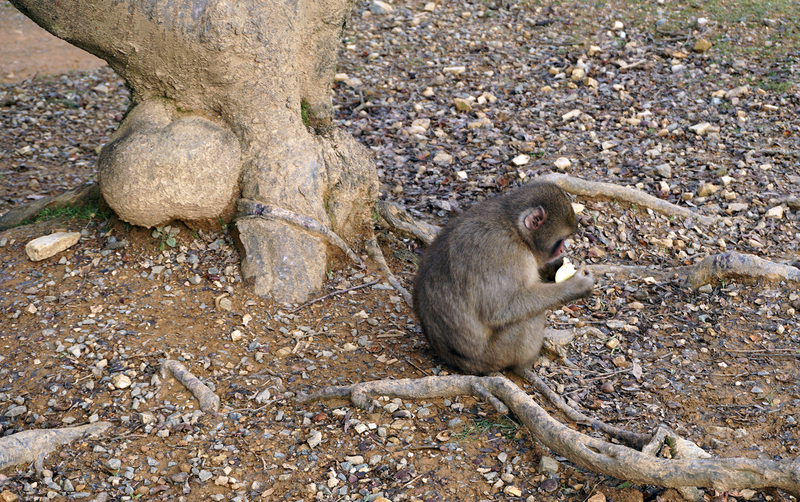 However, I did manage to see some Macaques recently at the Iwatayama Monkey Park. 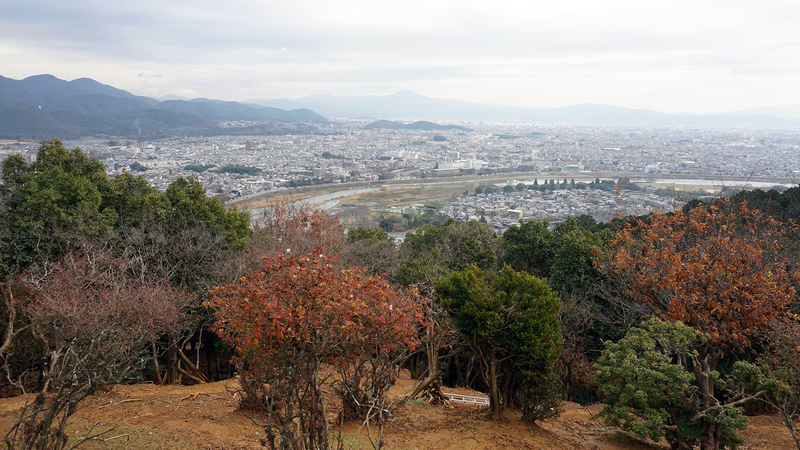 The park is in Arashimaya, which is a 15 minute train ride from central Kyoto. 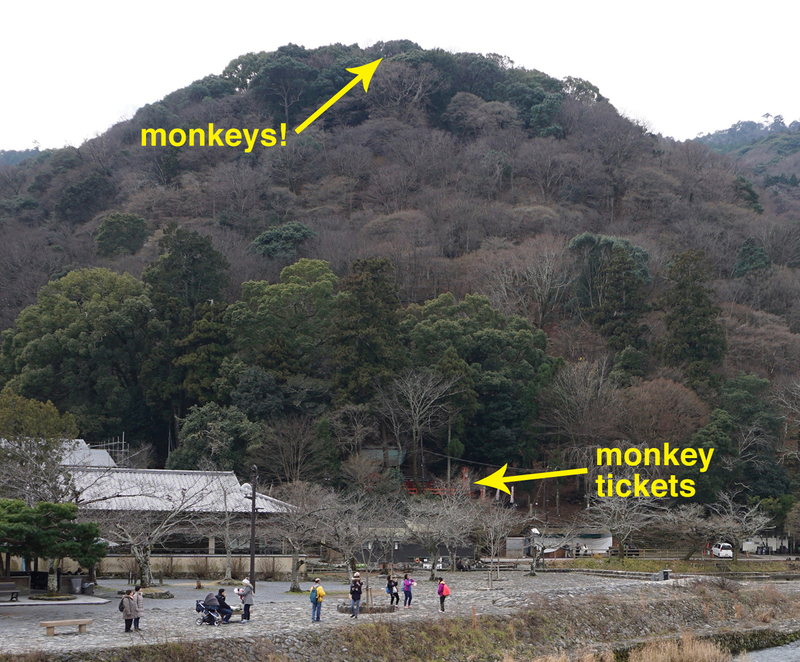 While the park’s ticket counter is near the station and easy to access, actually getting to the monkeys takes a bit more effort. 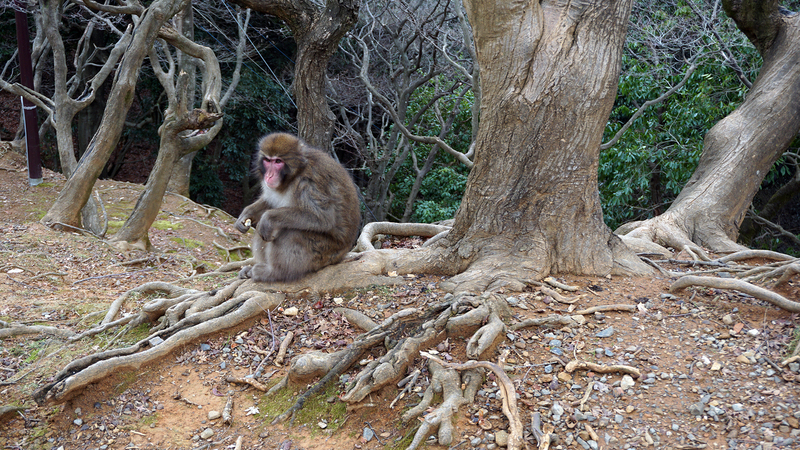 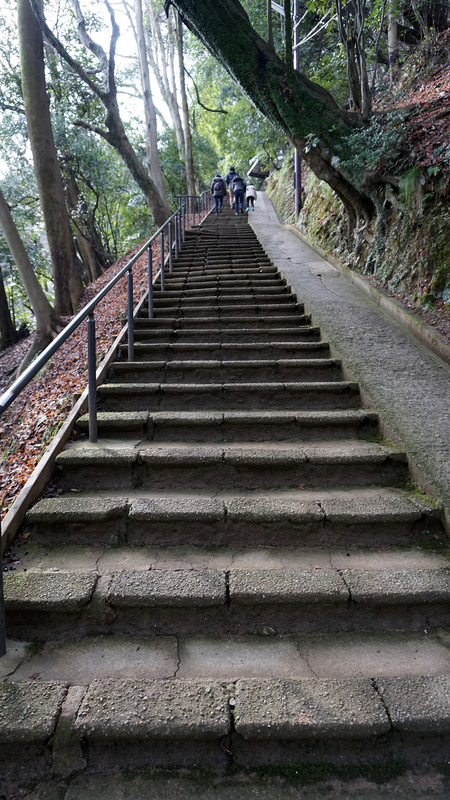 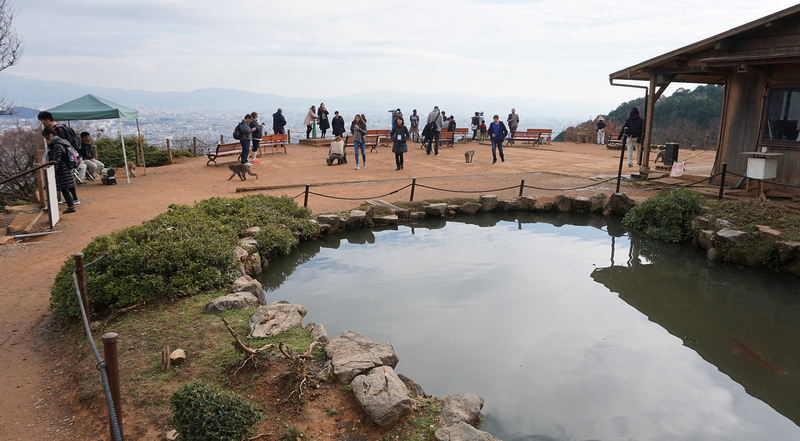 The monkey sanctuary is about a 20 minute walk up a series of steps and steep slopes. 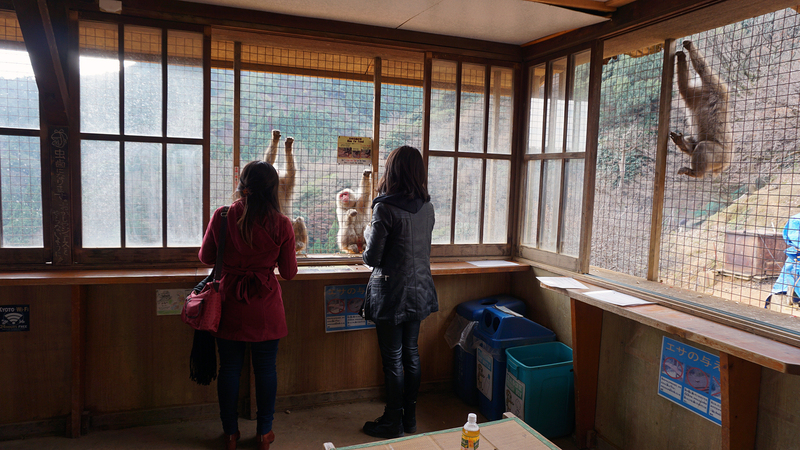 And one more. 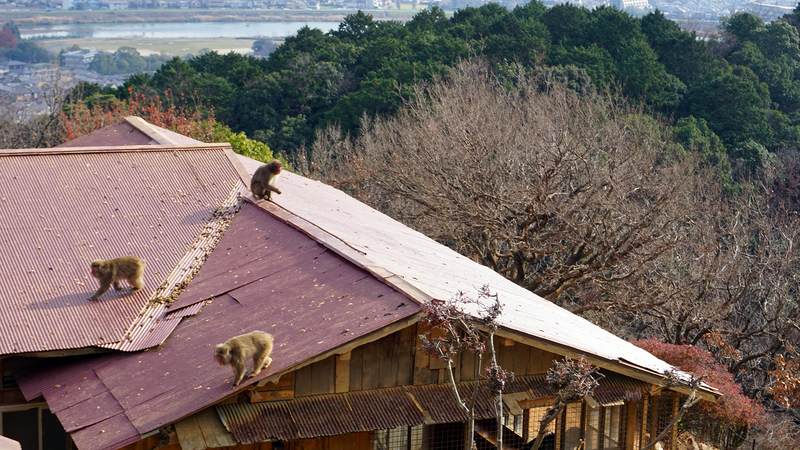 Hey, there’s a monkey! 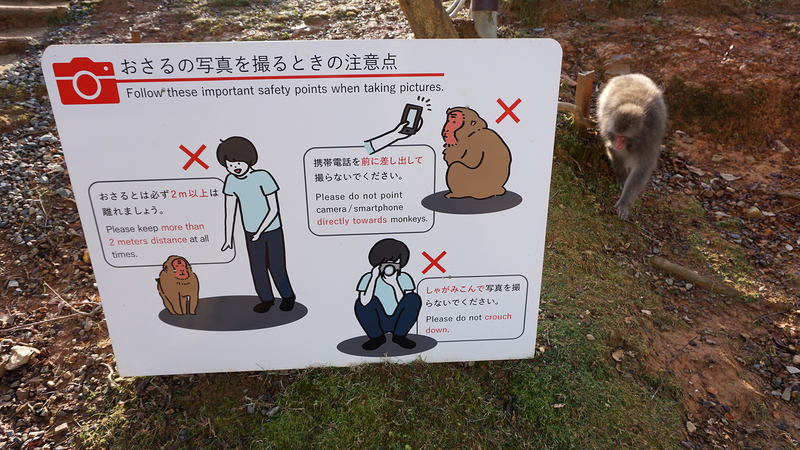 The monkeys are free to roam and — provided you don’t look at them, crouch down, get closer than two meters or point your smart phone toward them in a threatening way — seemed pretty calm. 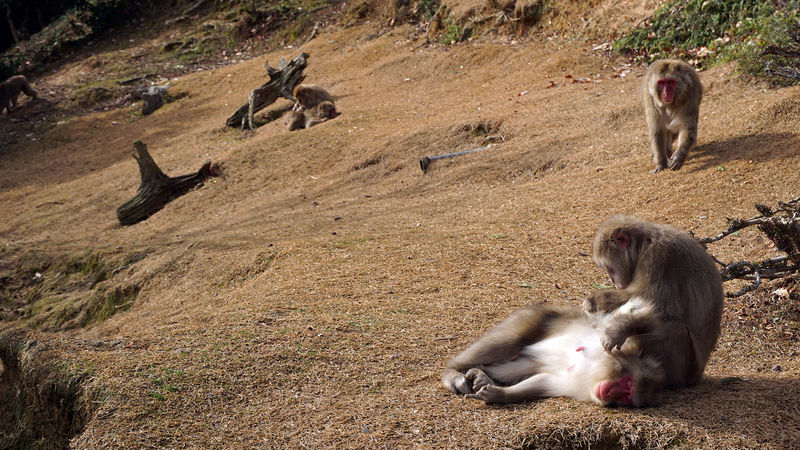 They spent most of their time grooming each other and relaxing. 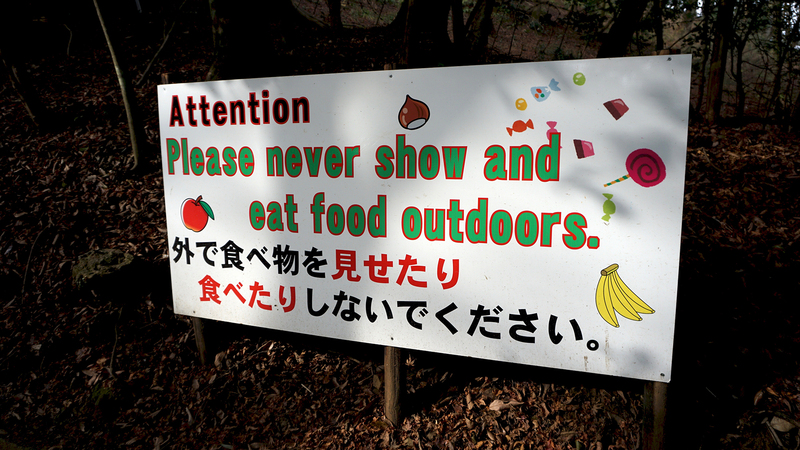 As they do. 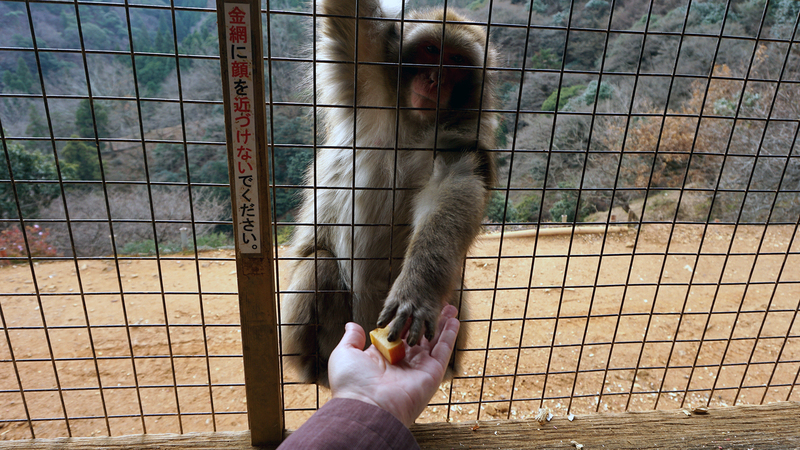 Visitors are allowed to feed the monkeys, and little bags of fruit and peanuts cost 100 yen (a little under $1 USD). 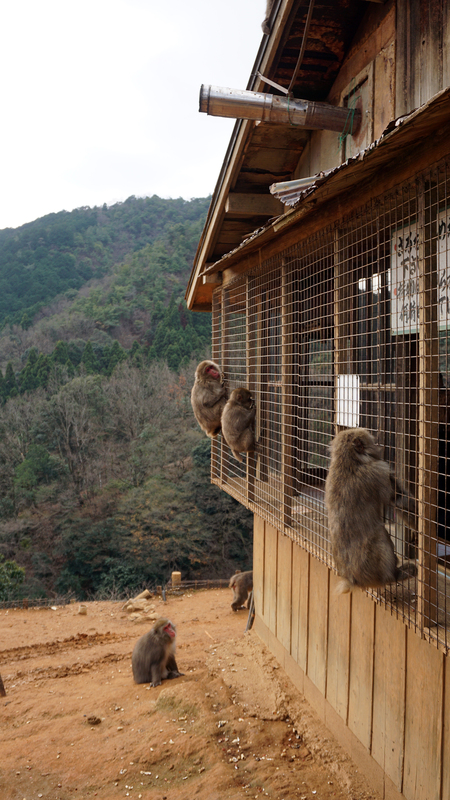 To keep everyone on their best behavior, the humans are caged and the monkeys can reach inside for treats. 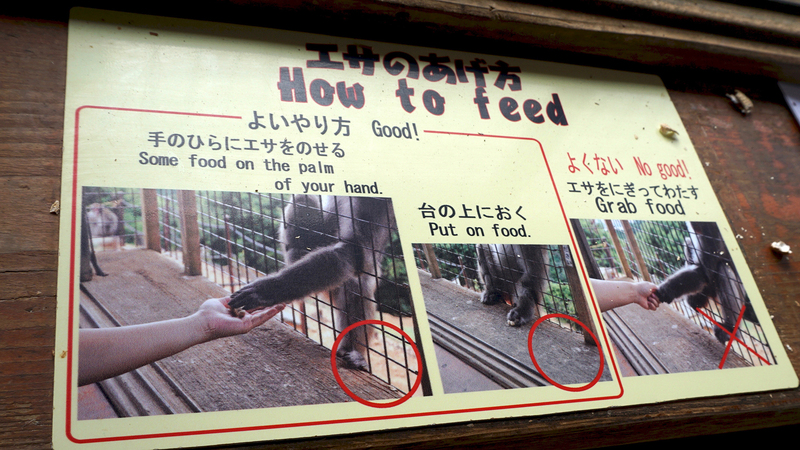 When I placed the food on my palm (as instructed!) 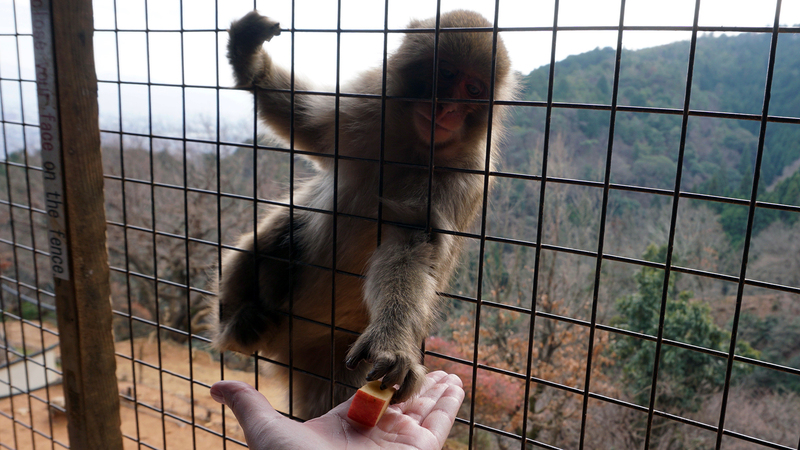 the monkeys were very gentle when they took it. 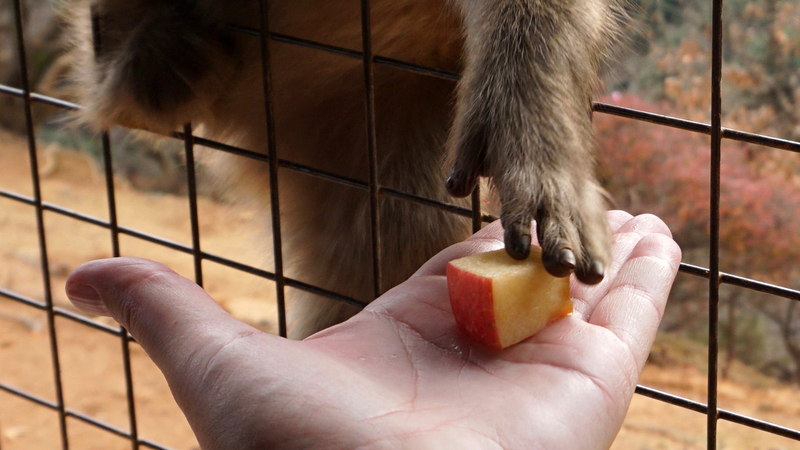 Well, hello there little monkey hand!!! 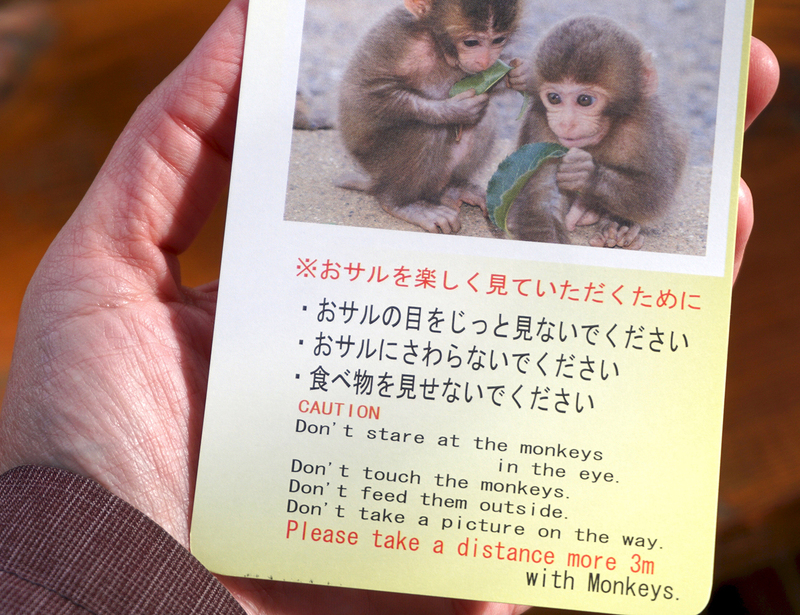 Outside of the cages, humans could wander through designated areas for plenty of monkey mingling. 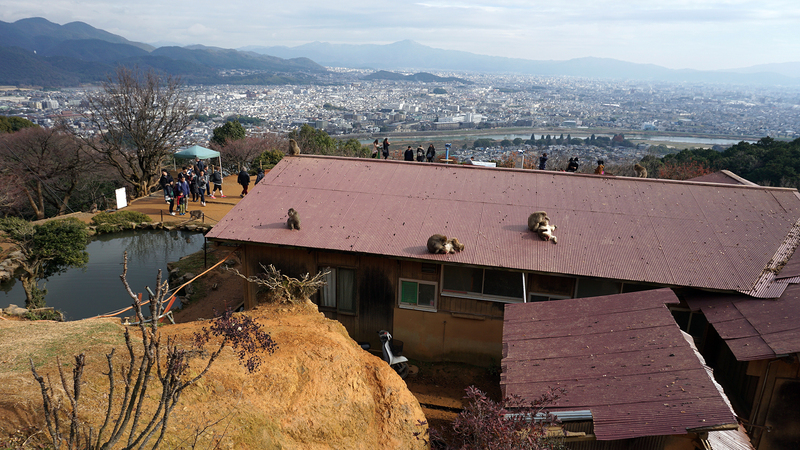 And the park’s elevated location also made for some great views of the surrounding area. 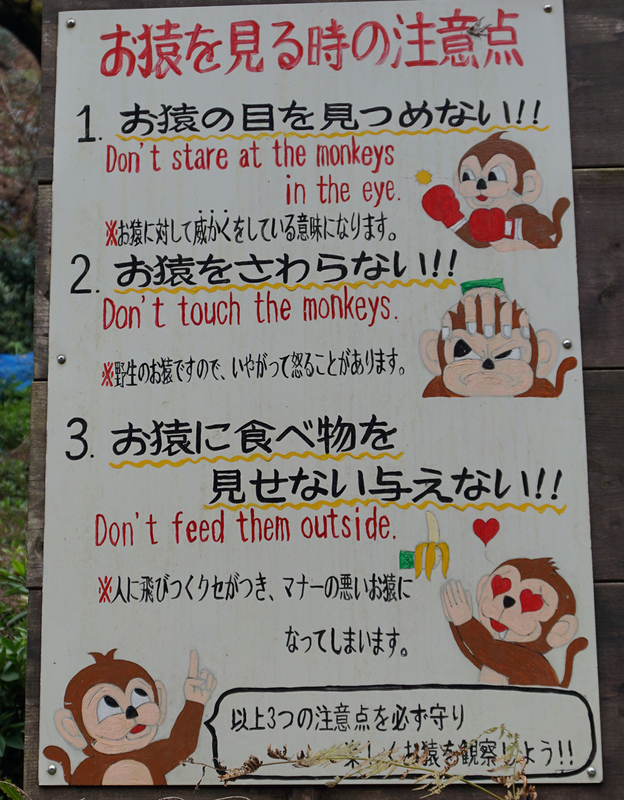 But I was more interested in the monkeys.